When I was a baby we lived on this farm. I don’t remember it but my Mother does. 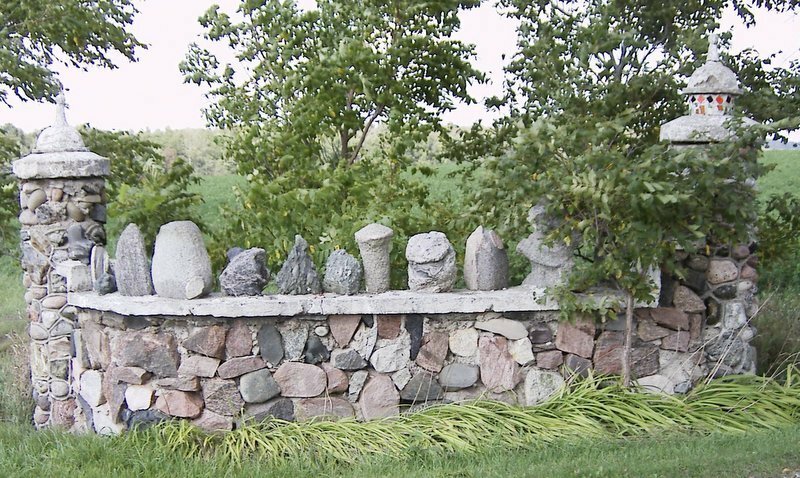 She says when we lived there the farm had a lot of these stone sculptures. 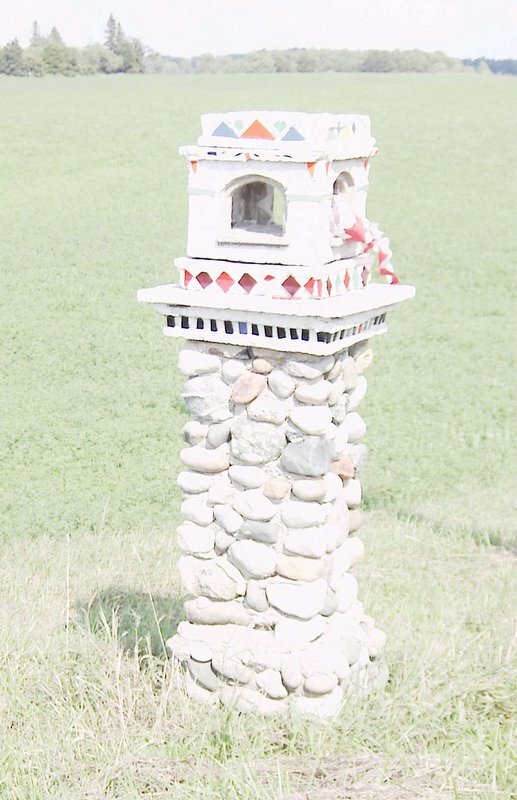 At each corner of the farm property were smaller stone columns which had decorations on top. These gates have been in worse shape each time I see them. There are only two of the four corner columns left now. One has nothing left on top. But, when we lived there the man who made them had a whole courtyard with much more fancy and labour intensive work. A farmer moved in after us and had all of that torn up. I don’t think there are even any pictures of it. 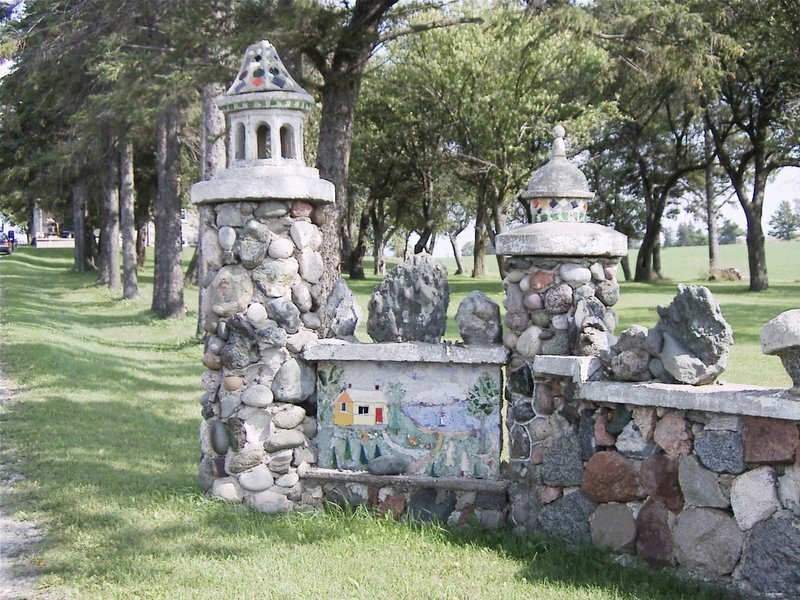 Once I did see the gates in a newspaper clipping. It’s really nice that at least some of it can be kept in pictures.